In the majority of construction projects, while the project may not proceed completely without any glitches, for the most part, there are no major issues, and the project proceeds to completion without error. However, in some cases, the construction may contain defects, and obtaining the services of an experienced Construction Law Attorney may be necessary to obtain an appropriate amount of money as compensation. However, when a property owner wishes to assert a defective construction claim against the entity responsible for the defect – a contractor, subcontractor, supplier, or design professional – Florida law requires a procedure be followed, ostensibly in an effort to cut down on unnecessary litigation. Unfortunately, the practical effect has been that this procedure can actually lengthen the time to realize defect claims. Recently, though, the Florida Supreme Court ruled that the pre-suit Notice of Claim, in fact, constitutes a “suit” under Florida Law, potentially reducing the time for a reconciliation of the issues. A discussion of Notices of Claim, generally, and the ramifications from the Florida Supreme Court’s holding, follow below. Florida Statute ch. 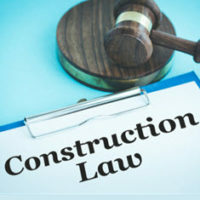 558 is known as the “Construction Defect Statute” and enacted in an attempt to reduce the number of Construction Defect lawsuits that are filed in Florida every year. The notice and repair process required by Chapter 558 is intended to provide the contractor, subcontractor, supplier, or design professional, as well as any insurer, an opportunity to confidentially settle a claim before a lawsuit is filed. Per the statute, a written Notice of Claim must be provided by an owner at least 60 days before instituting legal action (or 120 days if the recipient is an association of more than 20 units) and must identify and describe the defect with sufficient detail so that the recipient can locate and analyze the defect. Finally, the Notice must set forth the damages resulting from the defects. In Altman Contractors v. Crum & Forster Specialty Insurance, the Florida Supreme Court held that the Notice required by Chapter 558 constitutes a legal action under the standard liability terms contained within Commercial General Liability (CGL) policies held by contractors and other entities working on construction projects. Being a legal action, these provisions most likely trigger an obligation for insurance companies to provide their insureds a defense prior to the commencement of litigation or any other alternative dispute resolution. Essentially, the Florida Supreme Court found that the Chapter 558 pre-suit process is an alternative dispute resolution proceeding, which is included in the CGL’s definition of “suit.” Thus, when the insurer consents to an insured’s participation, the insured will be entitled to defense costs. The main takeaway from this decision is that it will be beneficial to contractors, subcontractors, suppliers, design professionals and owners, to fully involve their insurance carriers’ participation in the Chapter 558 process, and thereby reduce the need for litigation. It is important to note that not all notices pursuant to Chapter 558 will trigger a duty to defend. Rather, only those that allege property damage, as a result of the defect, covered by the applicable insurance policy can trigger the duty. Further, nothing stated by the Florida Supreme Court precludes parties from working together, without carriers, to resolve claims. However, for complex and/or costly claims, insurance carrier participation should promote resolution and increase the effectiveness of the Chapter 558 process. If you are a contractor and have received a notification that construction defects exist in a project you were involved with, talk to an experienced Construction Law Attorney as soon as possible. The Board Certified attorneys at Linkhorst & Hockin, P.A. are experts in handling such notifications and understand what needs to be done to handle such claims. Contact our Jupiter office today.